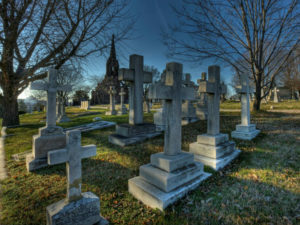 Working with the Maryland Department of Transportation and the State Highway Administration, Preservation Maryland has embarked on an ambitious project to document 100 cemeteries and burial sites across the state. 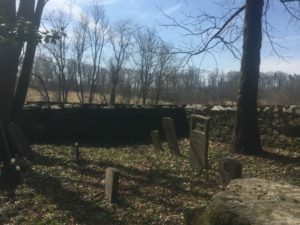 Preservation Maryland commends Representatives Alma S. Adams (NC-12) and A. Donald McEachin (VA-04) for introducing the African American Burial Grounds Network Act and urges swift passage of the bill to chronicle and preserve African American burial grounds for future generations. The intact cultural landscape of the Mt. 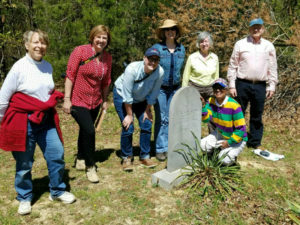 Hope Baptist Church and Cemetery in Charles County was the focus of a recent feature about forgotten cemeteries by WUSA Channel 9. Reporter John Henry brought to a large audience the area’s important African American history and recent efforts to record, understand, and preserve it’s place in Maryland history.